Should I do CAE or BEC Higher? If you're at B2/C1 level and want to get a Cambridge certificate, you have a choice between taking a Cambridge English: Advanced (CAE) course or studying towards the Cambridge English: Business Higher (BEC Higher). So which is best for you? You don't know much business English and aren't interested in learning it. You already know a lot of business English and want to improve your general skills. You're learning English for purposes like travel. You need a certificate that will help you get a corporate job. You plan do work in a business environment and need to improve your business English vocabulary and writing. You work in the business world and lack confidence in your English. While a CAE course has quite different topics from a BEC course (e.g. travel + sports versus Customer Relationship Management), you'll still have a lot of grammar either way. 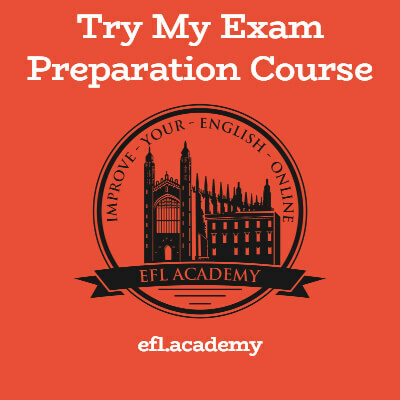 If grammar is your biggest weakness, the CAE exam has a Use of English section, while BEC doesn't (at the moment), so if you know enough business vocabulary you might find BEC easier. This week in my classes students had lots of trouble with gerunds and infinitives, so I plan to make a few videos on that topic. Keep an eye out - it'll be useful for both CAE and BEC students!